I have always though my eye colour was boring. 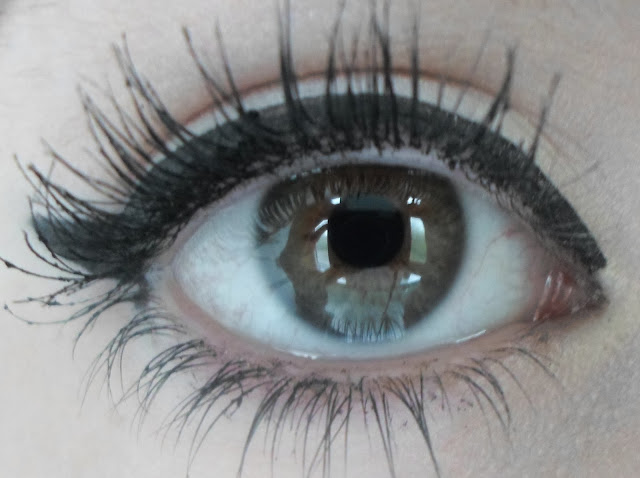 I would love to have blue or green eyes as they are much more interesting than hazel ones I think! I was sent a pair of coloured contact lenses to try out from MesmerEyez. MesmerEyez are the leading brand world wide in eye colour change, I didn't realise how huge a brand they were but since testing the contact lenses out I have spotted the brand in a lot of places online and in the press. MesmerEyez have a range of different contacts in lots of categories depending on how intense or natural you want the colour to be, they also have lots of patterns that would be perfect for fancy dress or Halloween! You can pick how long you would like the contacts to be useable for, for example one time, three months or even a year! I was sent the Misty Blue Naturalz* three month lenses. The kit comes with everything you need to care for the lenses as well as all the information. I had never worn contact lenses before so it was really helpful to be told how to clean the lenses and put them in properly. I did find the contacts difficult to apply on my first go but after a few tries I got the hang of it, it just was a completely new thing for me to adapt too. I love the effect they give, it is quite a strong difference to my natural eye colour but I really like it and it was fun to see my Nan's reaction! 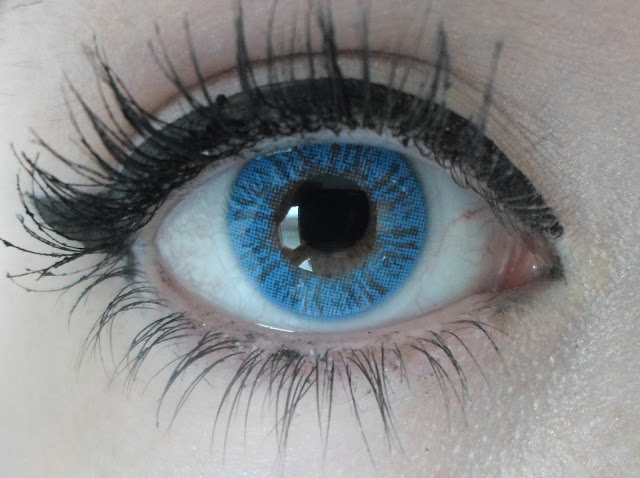 Have you tried coloured contact lenses? You can buy MesmerEyez lenses here. Wow that looks really cool!im so not good with eyes though...would never be able to put the lenses in! They look awesome. I always wanted to know what I look like with different colour eyes. They look so natural to me and gives a perfect glittery & bling look. If you want an elegant look for your eyes, I would really recommend this set of contacts. 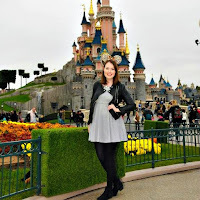 I'm Ellie, a 22 year old beauty addict, wannabe Disney Princess and cockapoo owner living in London! OOTD | we danced all night to the best song ever. my Bertie love has reached a new level..